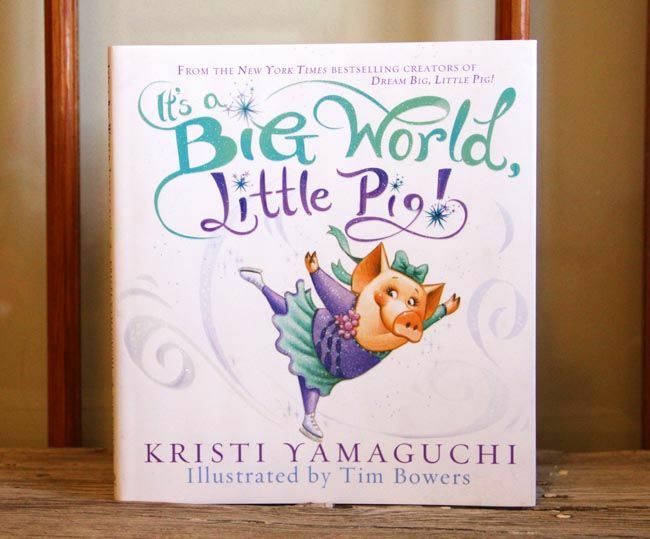 TheRustedChain - The Blog: Kristi Yamaguchi and a Little pig. Kristi Yamaguchi and a Little pig. You know who Kristi Yamaguchi it, right? She's an Olympic gold medalist, and world class athlete competing in the 1992 Winter Olympics and World Championships. In 2008, Kristi became the first woman to claim the winner's trophy on ABC’s Dancing with the Stars. But did you also know that she's an author? 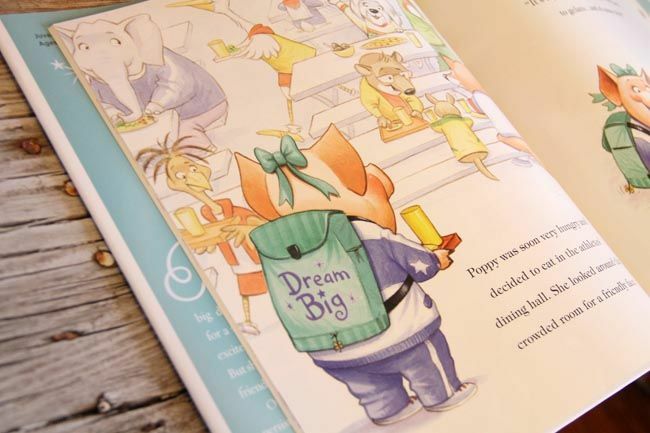 Last year she released a children's book called Dream Big, Little Pig! Now there's a sequel called It’s a Big World, Little Pig! 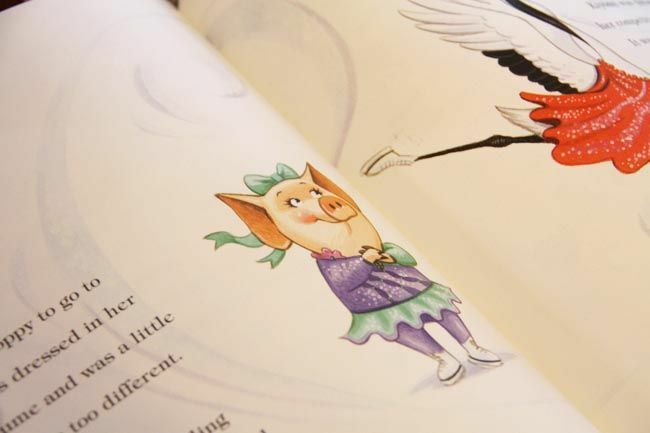 It's an adorable book about Poppy the Pig, who has big dreams of traveling to Paris to compete in the World Games. Poppy is very nervous to travel to a new place, but she begins to realize that although these new faces all look different, act different, and are from different places, they are all the same at heart. They all smile in the same language! Kristi Yamaguchi's motto is “Always Dream”. It serves as her personal inspiration, as well as the name of her charitable foundation for children. This philosophy has contributed to Kristi’s success on and off the ice, and she aspires to instill it in the hearts of children. 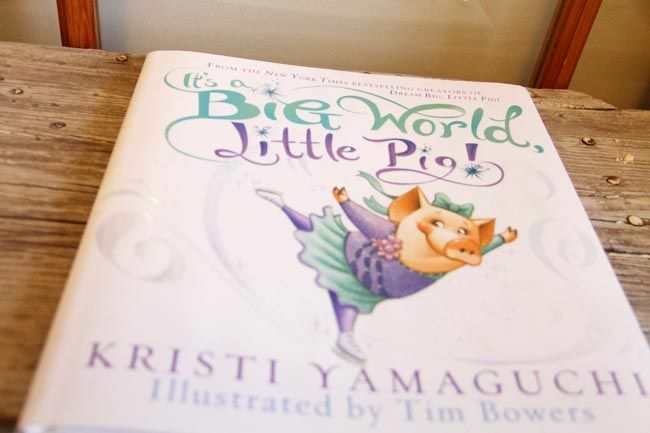 One hundred percent of Kristi's profits from It’s a Big World, Little Pig! will benefit early childhood literacy programs supported by her Always Dream Foundation. It's also available for download to your iPad, Nook Color, or Kindle Fire. ***I am not compensated for this post in any way. Opinions are my own. Kristi's publishing company just contacted me asking if I'd like a copy. It's an adorable book and a great cause! The end and amen. I didn't know Kristi was an author. Those books look fantastic! Gonna have to check them out. So cute!! McKinley just might need this little book!!! These look like two really cute books! Yea for you scoring a copy! Did u make her an Always Dream necklace????? ?